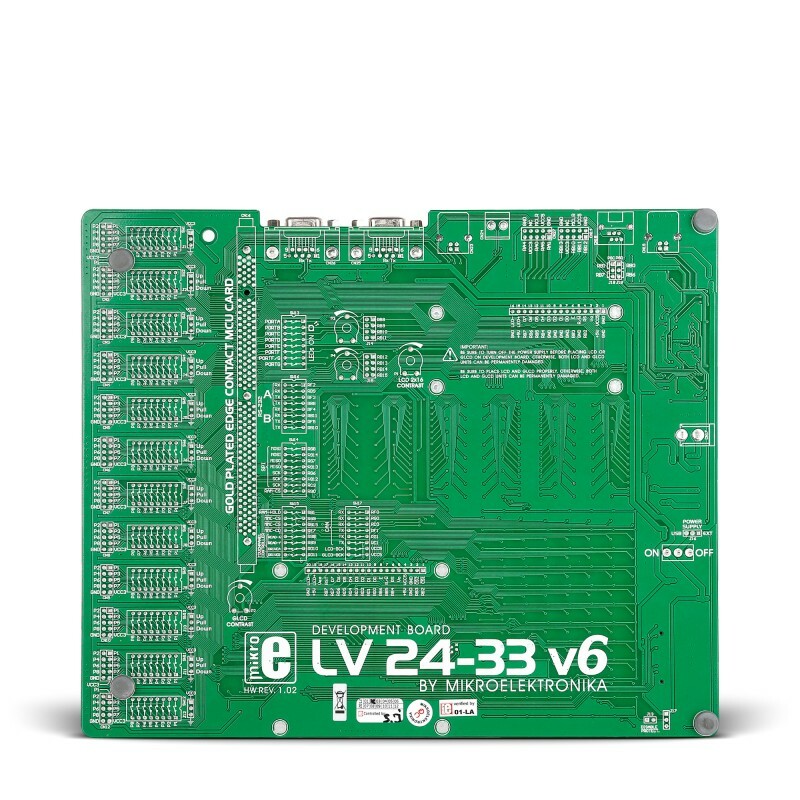 The LV 24-33 v6 is a development system that supports 44-, 64-, 80- and 100-pin PIC24F, PIC24H and dsPIC33F MCUs. It comes with a PIC24FJ128GA010. 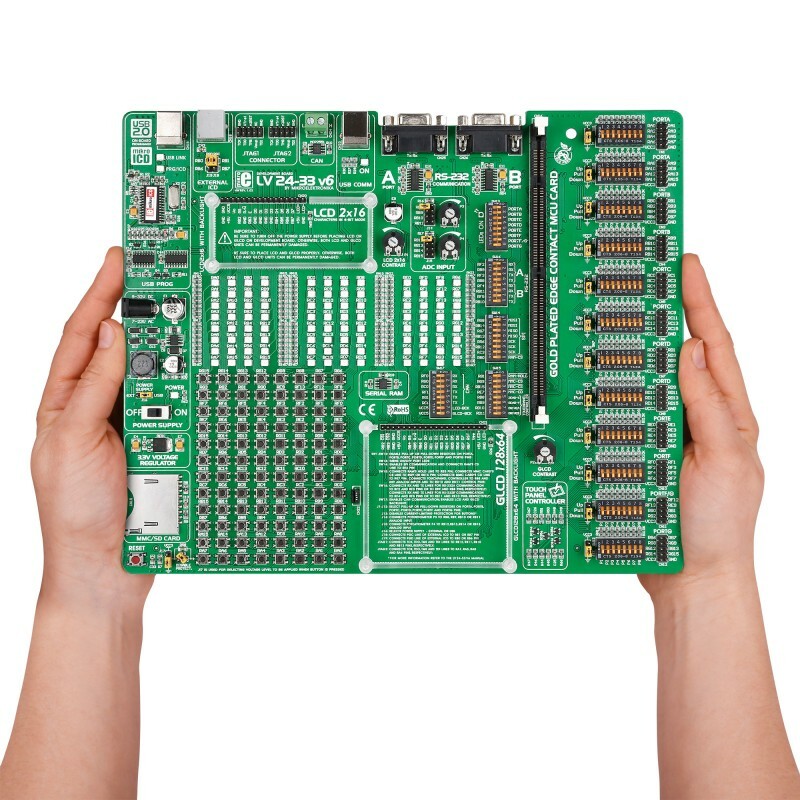 It features a USB 2.0 programmer with mikroICD (In-Circuit Debugger), touch panel controller, MMC/SD card slot, etc. PORTs, buttons and LEDs. 96 push buttons and 96 LEDs are connected to all microcontrollers pins. DIP switch is used to separate port pins from pull-up/pull-down resistors. 2 potentiometers are provided for testing multiple A/D conversions. Inputs can be configured via jumpers. Graphic LCD 128x64 and LCD 2x16 can be easily connected via the on-board connectors. Board also features a Touch Screen controller. On-board 2x16 Character COG Display is connected via Port Expander. 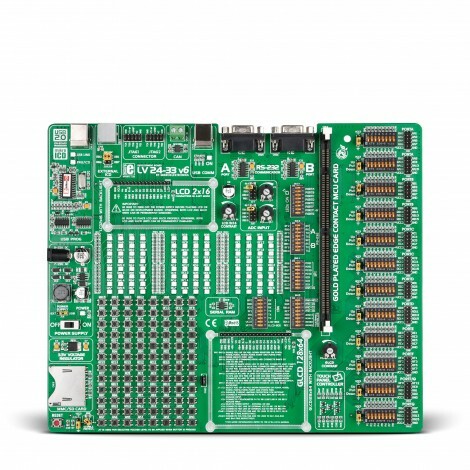 RS-232 communication is enabled via DB9 connector and MAX232 level converter. USB communication connectors are available for microcontrollers with USB facilities. 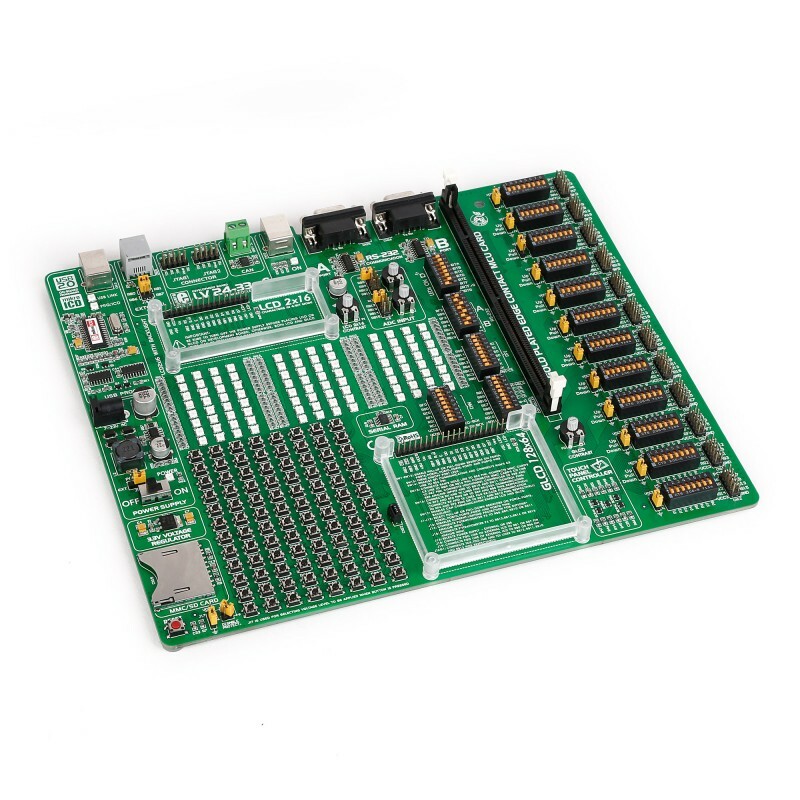 CAN transceiver MCP2551 is also available. MMC/SD card slot enables you to use MMC/SD memory cards easily. There's also a 64Kbit Serial RAM 23K640 with SPI interface. Temperature Sensor DS1820 measures temperature from -55°C to 125°C. It is connected to the system via 3-pin socket.